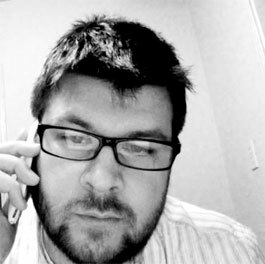 I'm Cameron Bates, a developer and user experience designer currently residing in Seattle. I love to make things pretty on the web, and I've been doing it for a while. I want to make your content gorgeous and interesting. I want to make your website a joy to update. And I want to impress your customers and make your competitors jealous. You should too. I'm really into web standards. My first mentor introduced me to the concept of web standards and semantic markup and it really made an impression on me. I loved the concept of separating "style" from "content". We have come a long way from simply separating "style" from "content" too. I love content management, and utilizing systems to make your content portable and flexible. Feeds and APIs allow us to make sure our content gets to our users in the way they like best, and allows us to spend less time writing HTML, and more time focusing on creating great content. I obsess over content and design. Beyond code and web standards, I'm also passionate about design, content, usability and accessibility. Some people in this industry get trapped by defined roles and specific areas of expertise. But I think it is important to look at the bigger picture. I believe that the time and effort put into the design and development of a website needs to be matched with an equal amount of care and detail in writing content and offering an exceptional user experience. If your design does not help people get to the content they are looking for in an efficient and pleasureable way, then it is just a pretty picture. I'm interested in building websites like Ferrari builds cars—with attention to detail inside and out, front to back.